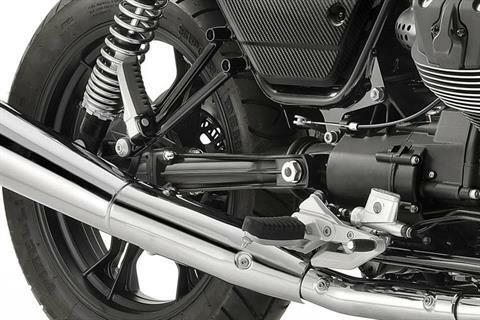 Special Price includes Factory & Dealer Discounts. 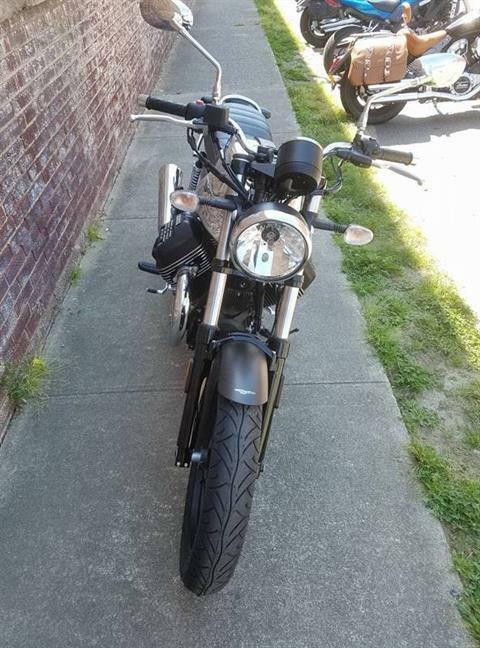 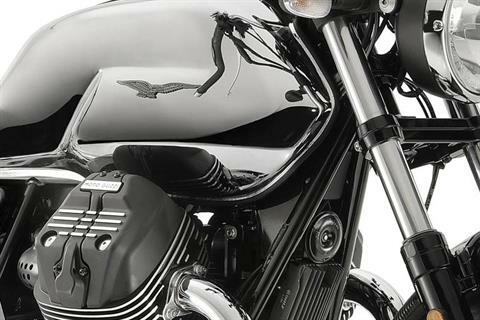 A motorcycle is said to reflect its owner’s attitude. 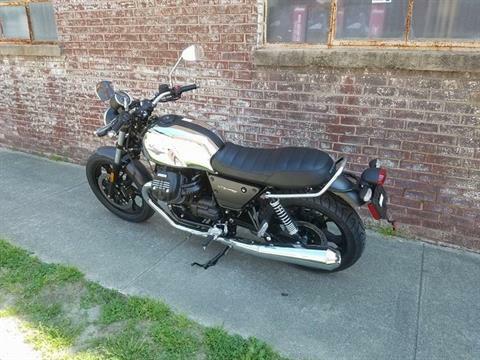 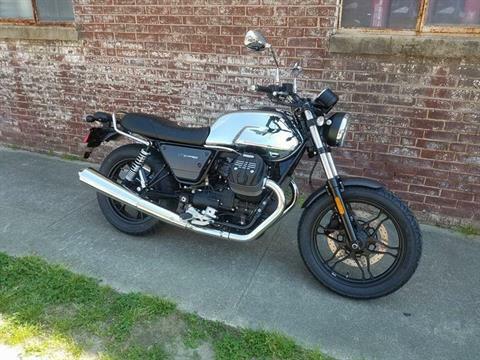 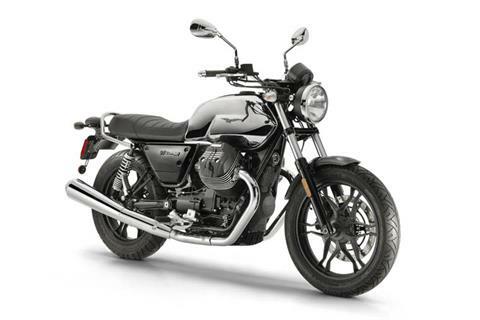 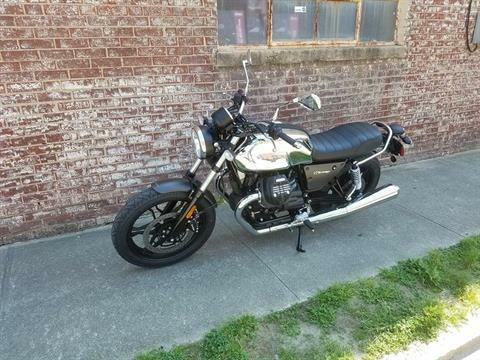 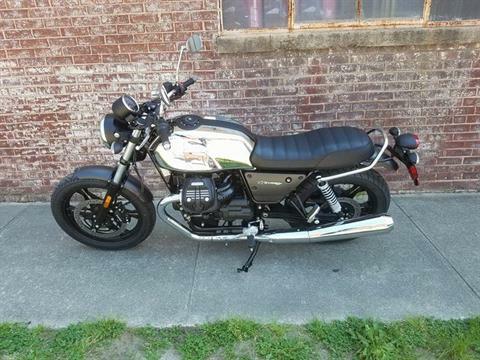 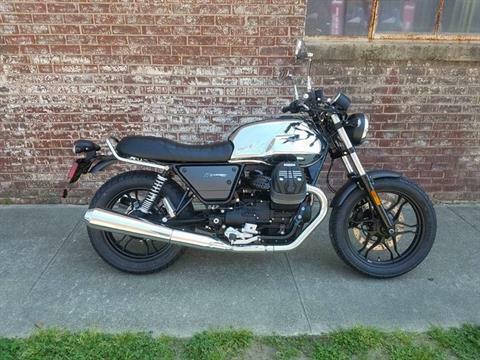 Moto Guzzi’s newest standard, the V7 III Carbon Shine, directly transcends that sentiment. 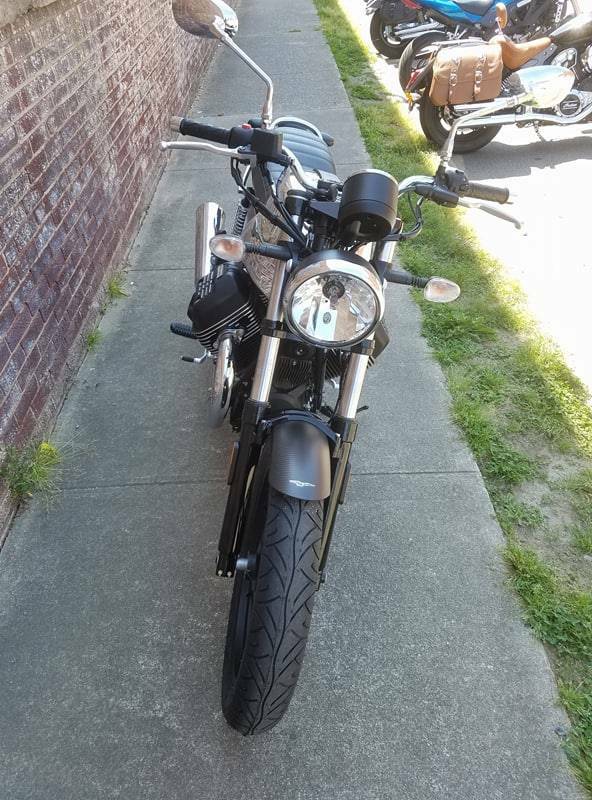 And in more ways than one. 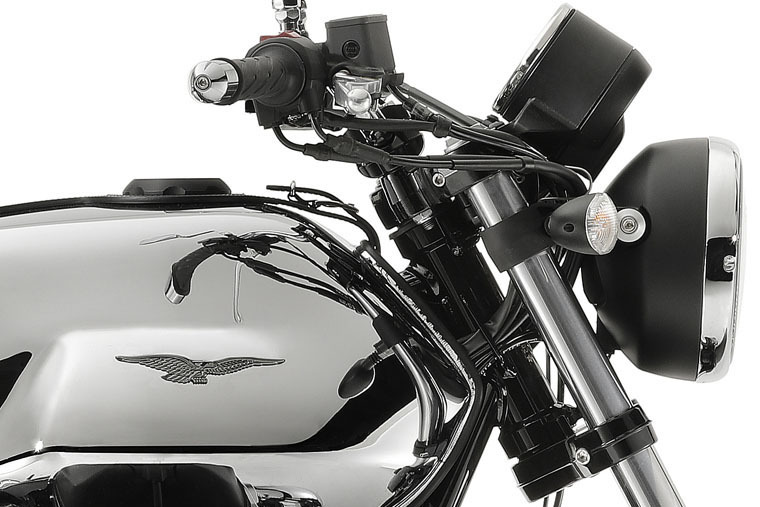 CHROME NEVER LOOKED SO GOOD: The first reflection is obvious. This V7 III, which arrives on the market 51 years after the debut V7 created a stir in the world of Italian motorcycle culture, is loaded with reflective chrome. The gas tank will absorb much of the attention, its flowing design now enhanced with a mirror-like finish unlike anything ever created from the Eagle Brand. Chrome exhaust, mirrors, headlight ring and a passenger grab handle compliment the chrome finish of the limited-edition V7 III Carbon Shine. To further add to the personalized feel, traits that are evident due to the Carbon name, the shortened front fender and side fairings are designed from carbon fiber. 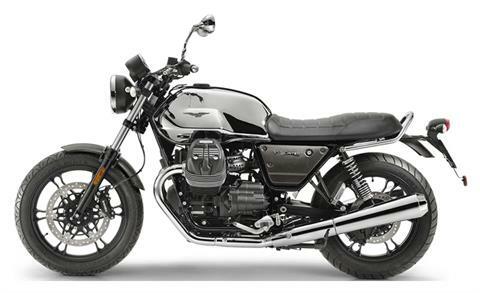 THE SHINY DETAILS DON'T TAKE AWAY ANY NATURAL MOTO GUZZI CHARACTER: The second reflection is character - a trait that naturally arrives with every Moto Guzzi model since the brand was established in 1921. 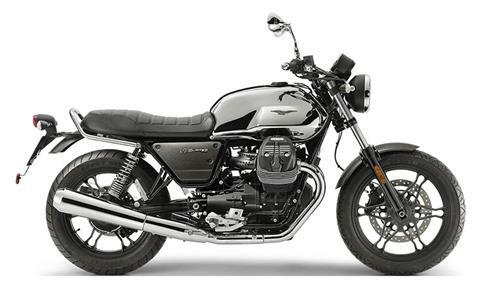 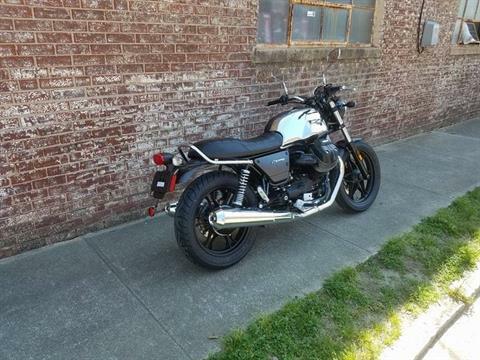 Much of this character arrives from its 744 cc engine, the opposed V-Twin creating a sound that only a Moto Guzzi can make. 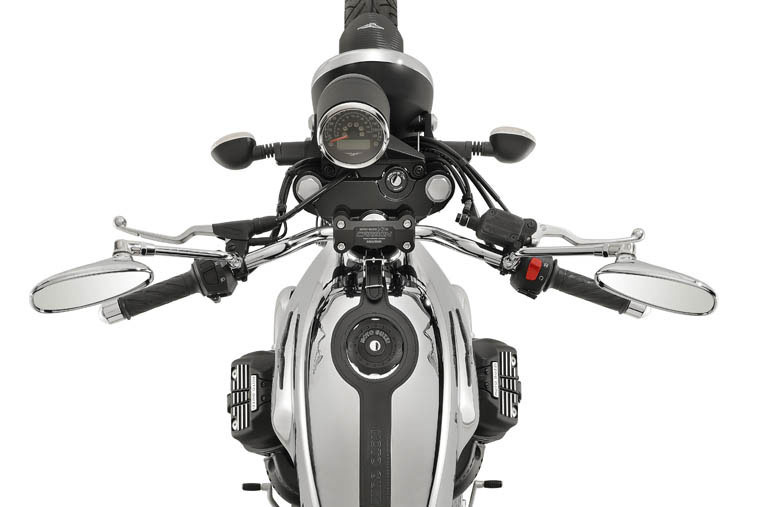 Further items that build upon the V7’s unique character are the retro single instrument panel, the uncluttered tailpiece, and those contemporary-styled alloy wheels. MODERN COMFORT WITH A CLASSIC LOOK: Besides a relaxed handlebar position, the V7 III’s seat is contoured for endless comfort. 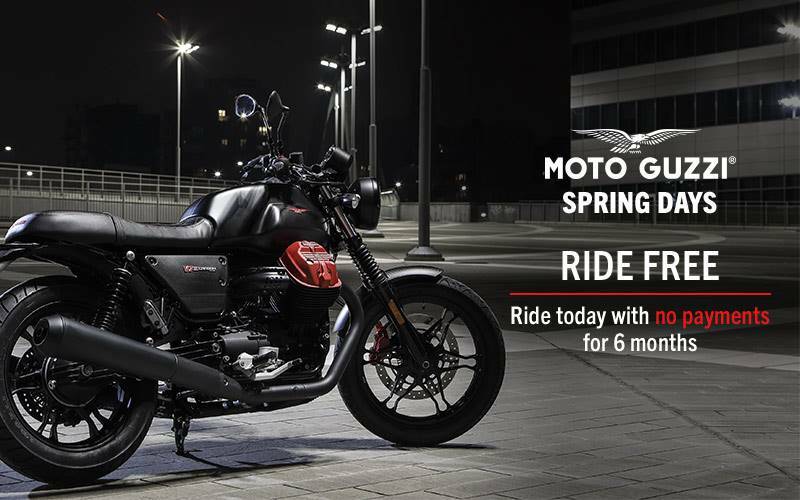 The seat is also designed with a new water-repellent Alcantara, a weather-resistant material that can withstand the sometimes harsh outdoor conditions. 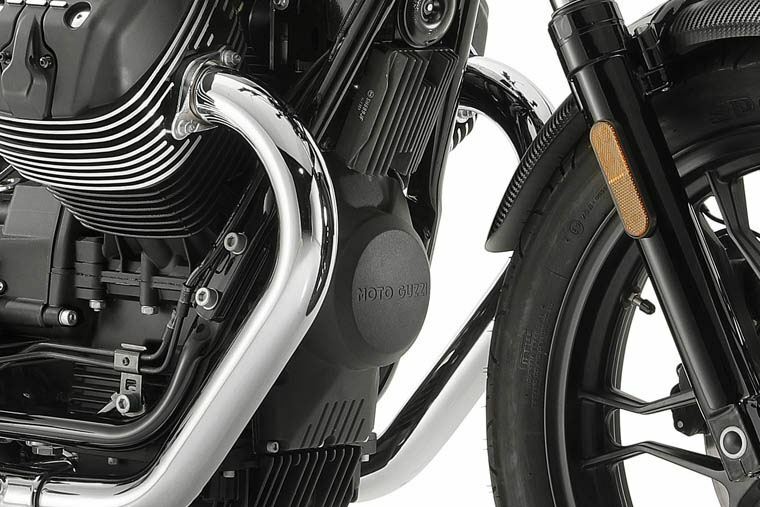 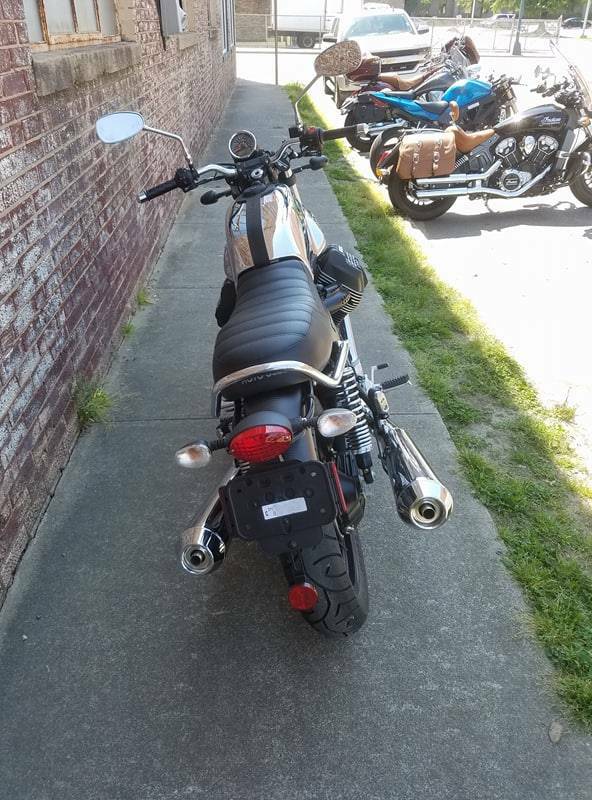 LIMITED EDITION MAKES THIS V7 III FAMILY MEMBER TRULY UNIQUE: Each V7 III Carbon Shine is serially numbered with a plate affixed to the handlebar risers. 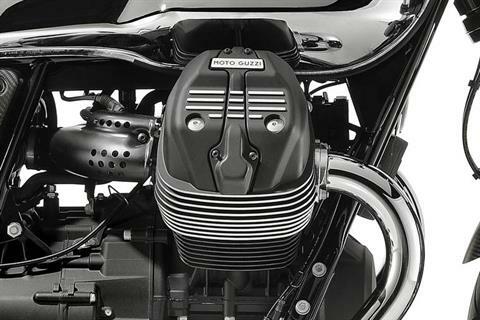 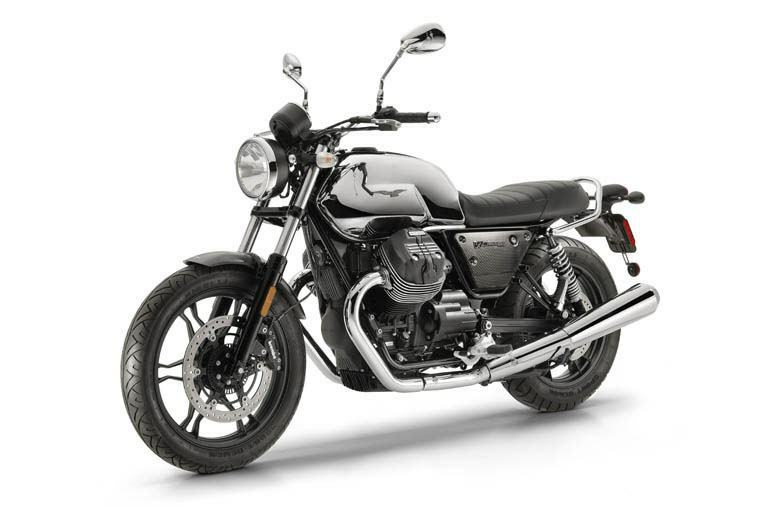 Only 1921 units are available, a number that reflects the year that Moto Guzzi was established. 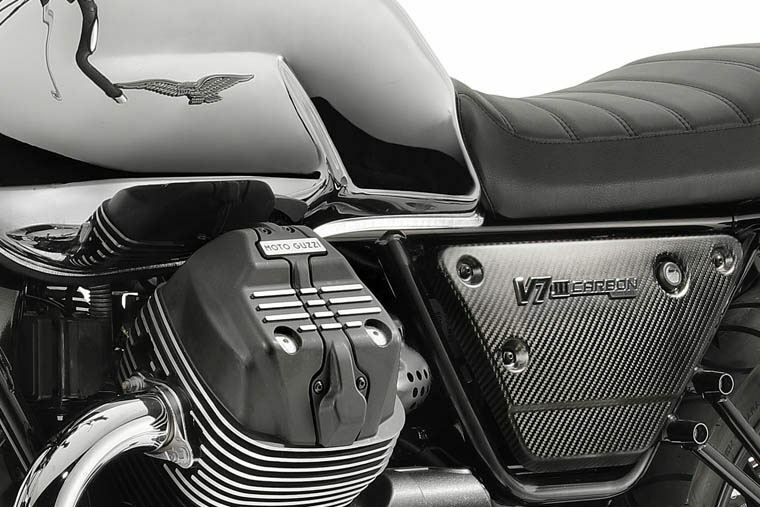 The Carbon models are the only members of the V7 III family built in limited and numbered production, following the proud tradition of having a limited-edition model in the range. *Weight with motorcycle ready for use with all operating fluids and with 90% fuel.